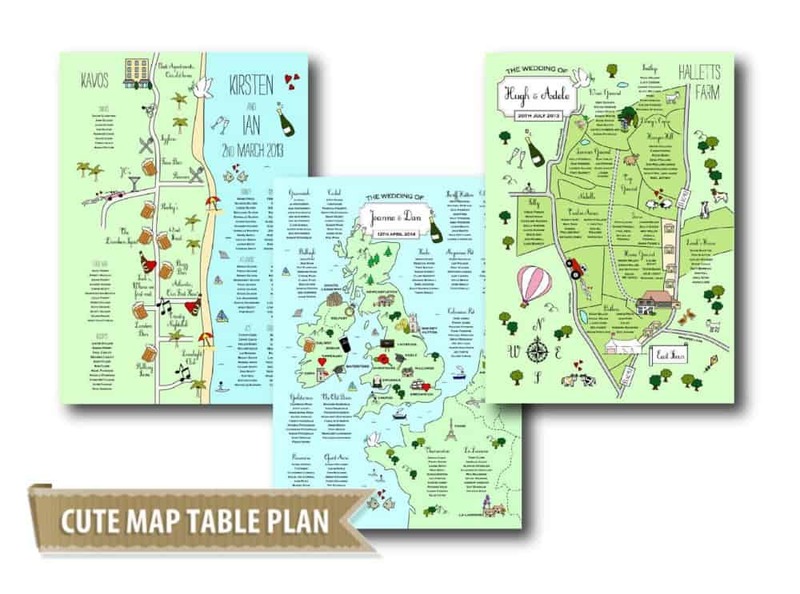 Cute Map Table Plans for your big day! 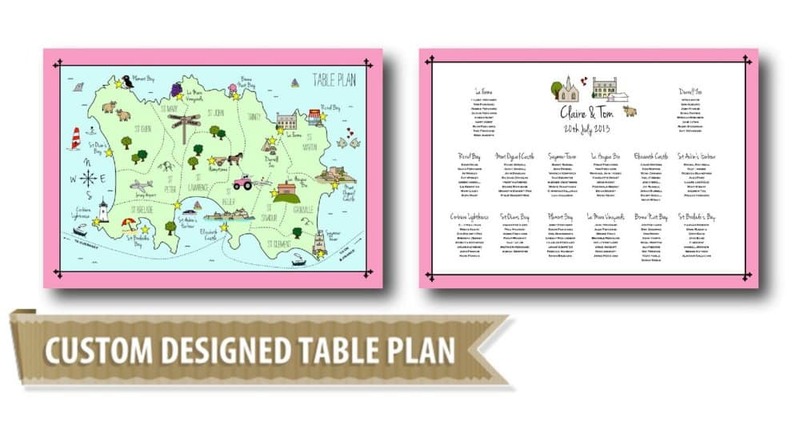 At Cute Maps, we do so many exciting bespoke Wedding Stationary products; Cute Map Wedding Invites, Save the Dates, magnets, place cards, menus… (and loads more!) but one of our personal favorites are our Table Plans. We can create them in either A2 or A1 size, in foam board for a lovely durable professional finish, or on thick printed paper which are ideal for you lucky ones who are jetting off for your wedding. These can be rolled up and popped into your case, so you don’t have to struggle with foam board! It is because our Table Plans are large which means that we can get quite a bit of detail on there. This really gives you the opportunity to go wild with your design ideas to create a show stopping one off piece! Name your tables after your favourite places, bars, attractions or anything you can think of! Where you met, where he proposed, your first date…ideas are endless. These Cute Maps are designed from scratch to depict any special map you have in mind. From £170 for A1 and A1 printed paper. 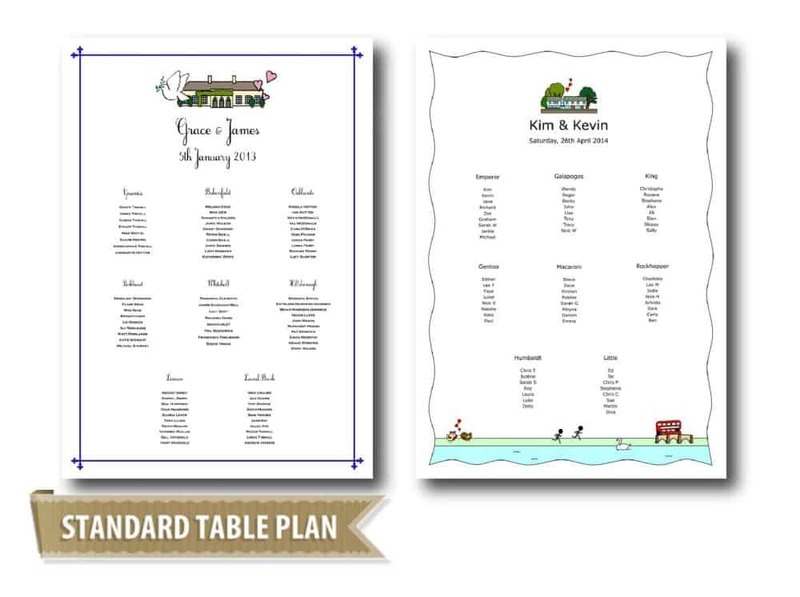 These simple but cute table plans include motifs of your choice at the top of the design. You can use either existing cute motifs taken from your Cute Map design, or we are happy to design a small venue motif for you. From £65 for A2 printed paper. If you’d like individual images for each table, we can create a custom design for you. 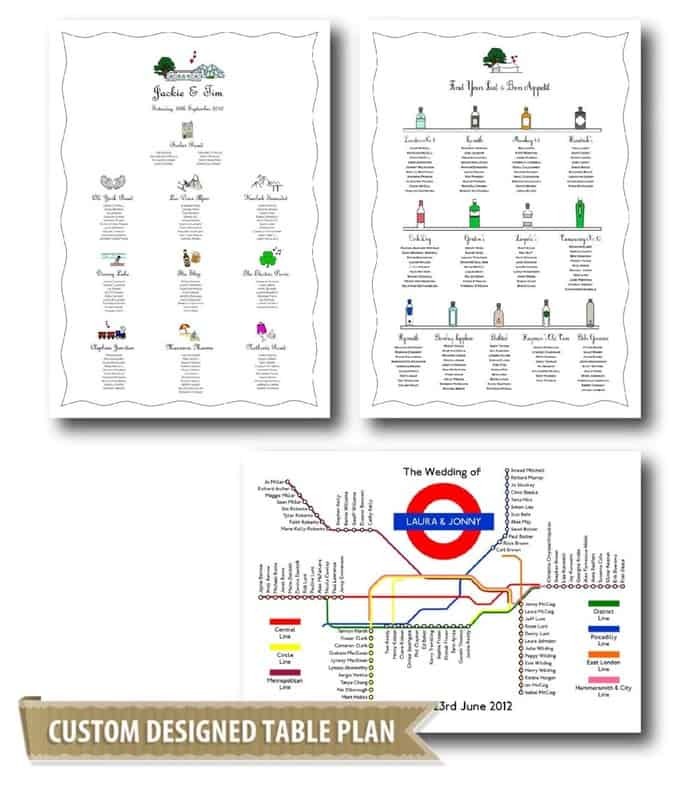 We’ve created Gin Bars, Tube Maps and all sorts of table plans for previous customers. We love to hear your ideas, so if you have something in mind please get in touch and we’ll send you a quote. This entry was posted in All posts, News, Style & Tips and tagged Guest Names, Product, Table Decor, Table Plan.